So you’re thinking about a Nutribullet? 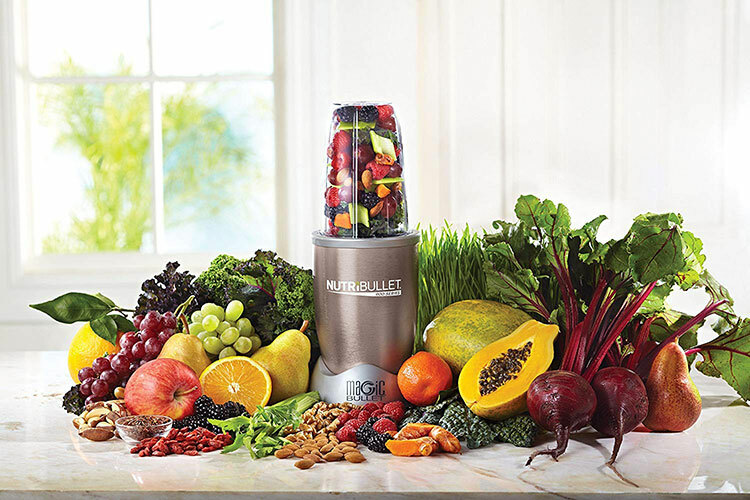 Nutribullet set the bar for all personal blenders, robust products, superb reliability and the capability to make delicious and healthy smoothies. What more could you want? Well, you could want to know which one to get, because there are four different models of Nutribullet to choose from, and I’m sure you don’t want to waste your money buying the wrong one. So I’ve put this guide together to help you compare the different ones available, I’ve reviewed each one and shared which one I think is best. Plus they’re all linked through to Amazon so you can click through and order yours today! You’re probably already pretty sold on a Nutribullet if you’re reading this, nonetheless, here are a few of the reasons why you won’t be disappointed when you buy one. This is the reason everyone else has bought a Nutribullet, because it’s so easy to just make a smoothie in the morning and head out the door with it. You can just pack all the ingredients in, blitz it and swap out the blades for a lid and you’re ready to go. It’s just such an easy way to start getting more fruit in your diet, plus you can add protein powder if you want something more filling, you just scoop some protein powder in and you’re ready to go. 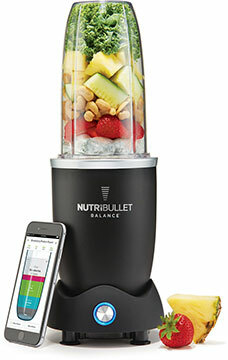 Nutribullet claim that their blender is better than others because it breaks the food down on the cellular level allowing for easier absorption of the nutrients. Far easier than say using your teeth. It’s hard to say, I looked into it because what they described sounds suspiciously like what any (good) blender can do, so I’m not sure why it’s better. In that respect, I know it’s better because it’s made to a higher standard, I’m just not sure about the nutrition extraction. I looked at some other experts opinions and it seems that the jury is out. 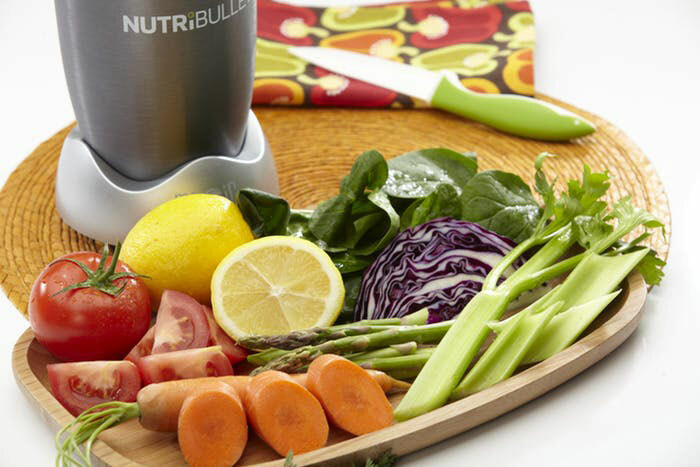 It could provide you with easier to digest nutrients but what’s certain is it’s a lot easier to get more fruit and vegetables into your diet with a Nutribullet than without them. Because how often do you eat 5 pieces of fruit for breakfast? Plus, the Nutribullet is made to be powerful and it’s very robust so you are going to get a damn fine smoothie. The final one, and it’s a biggie for me, easy washing up! Cleaning a full-sized smoothie blender can be a pain in the backside, but with a personal sized Nutribullet you can just put it in the dishwasher on the top shelf, or it’s nice and easy to clean out with a brush in the sink. No one likes doing the washing up, so being able to just whizz it up and go, then stick it in the dishwasher when you get home is a big plus. Just make sure you give it a rinse out when you finish your smoothie to avoid it getting a bit smelly by the time you get home! And now it’s time for the main event! Here are the 4 current models of Nutribullet compared and reviewed. If you’re looking for the best one then it’s got to be the Nutribullet Pro 900W, it’s got the best balance of power and price for at home smoothie making. The Nutribullet Pro 900 is the perfect blend of power and price (get it? Blend? I’ll see myself to the door…) you get 900 watts which is more than enough to make a delicious smoothie. It blends up all fruit with ease and can even manage most nuts and seeds but the only place it can’t quite stand up is with green smoothies, kale in particular will stay a little lumpy because the stalks are so thick. But that’s about the only place it will get stuck, so for most people who are looking to have healthy smoothies on the go then this is the place to go. 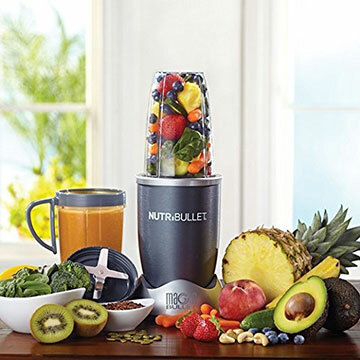 Still you get the extra 300 watts over the base Nutribullet model, and the model on Amazon includes 2 x 32 oz cups, a recipe book and a copy of the pocket nutritionist so you can make everything as healthy as possible. It of course comes with relevant lids for those cups! A superb personal blender, perfect for anyone looking to get healthier. This is a really cool piece of technology as well as an incredible blender. You download an app to your phone that connects to the blender which helps you calculate the nutrition of what you’re making, so you enter the food you’re putting in and the smart scale weighs it and your phone tells you the nutrition. Plus it’s got loads of recipes in it so you can look up recipes and discover more delicious smoothies to make. And the mixer itself is huge at 45 oz which is probably too much for a single serving for one person but you can make it for two or not fill it all the way, easy. The reason this isn’t the best choice is that it has more functionality than most people need. You however, who is reading this and loving it and think it will help you up your health game are completely right. It is the best way to take you to the next level of health by helping measure out the nutrition you get, and the extra 300 watts means it can handle a lot more making short work of seeds and nuts and actually blending up greens properly. The Rx is the top of the line Nutribullet, it has the fastest motor by far with a crazy 1700 watts, and comes with a 45 oz cup and pitcher lid and a 30 oz standard cup. The 1700 watts will blender pretty much anything, anything you could want to put in a smoothie can be taken care of in here and it’s got a big enough cup to handle blending together and heating up soups which is really cool. This one is for the serious blenders, you like a smoothie but you also want a full-blown kitchen appliance without taking up the space of a full countertop blender. You want to be able to make pesto’s, soups maybe nut butter or even flours so you need the extra blending power. Or you like a green smoothie to be completely smooth and want to enjoy smoothies without any chance of lumps suddenly hitting you in the back of the throat. The first and the best, or is it? It certainly did a lot of good by bringing the Nutribullet to market but now the newer models far outstrip what the original is capable of. It’s got 600 watts and still blends well but it’s definitely better suited for fruits smoothies, it won’t handle greens or vegetables nearly as well as the others. It is a little cheaper which is its only upside, but to get the Pro it’s not that much more expensive so well worth for the extra blending power that you get. Amazon currently has the 12 piece set for sale which comes with two small cups and one tall cup as well as a milling blade for seeds and grains, 2 lids, 2 lip rings and a copy of the pocket nutritionist. If you really can’t afford the pro then this is still a great blender, you’ll be able to have healthy breakfasts and kick start you’re healthy new you.